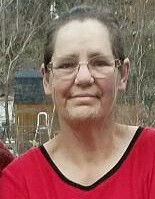 Debra Lynn Hert, 61, of Paragould, passed away on Friday, November 16, 2018. She was born November 28, 1956, to Toy and Ruby Cheshire. Debra was a member of New Harvest Family Worship Center in Brookland and loved to play accordion. She enjoyed spending time with her family. Debra was preceded in death by her parents and infant brothers, James and John. Survivors include her husband of 30 years, Clyde Hert; daughters and sons in law, Anna and Justin Anderson, Pamela and Steven Boswell; brothers, Terry Cheshire, Bob Cheshire; sister, Sandra Hayes; and grandchildren, Amy Anderson, Briar – Rose Boswell, and Scarlett Boswell. The family will receive friends on Tuesday, November 20, 2018, from 10 a.m. until service time at Phillips Funeral Home. The funeral service will begin at 11 a.m. in the Center Hill Chapel of Phillips Funeral Home with Mark Huff officiating. Burial will follow at Greene County Memorial Gardens. Justin Anderson, Steven Boswell, Tim Pruett, Ron Turner, Tommy Barnett, and Cody Leach will serve as pallbearers. Paul Scarbrough and Larry Walker will serve as honorary pallbearers.